This dip is perfect for a Fall, Halloween or Thanksgiving gathering. All the taste of pumpkin pie with out the hassle of baking, and its a finger food so it is perfect for parties. Mix the cream cheese, pumpkin, sugar, spice and vanilla in a mixing bowl with an electric beater until smooth and incorporated. Serve with apples and ginger snaps. 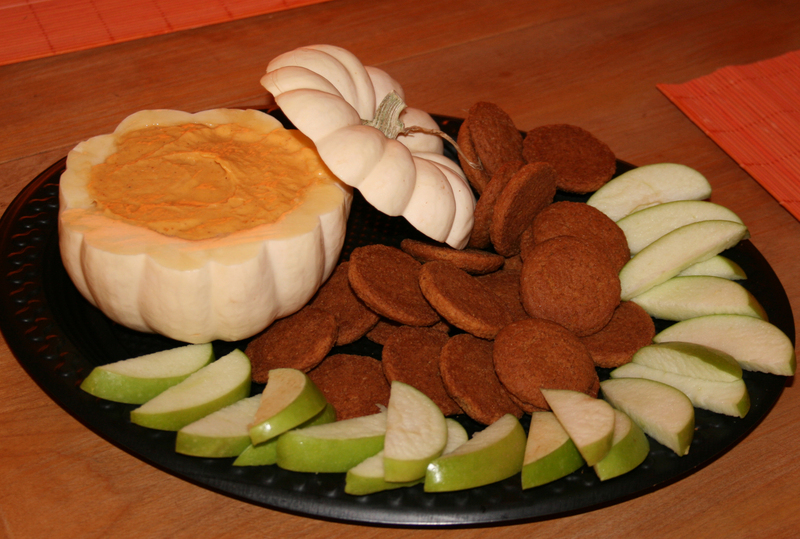 For a pretty and festive presentation, hollow out a small pumpkin or gourd and serve dip inside.